As I dive into this aspect of ham radio, DMR, I thought I would share some of the tips and tricks that others have shown me or that I've figured out on my own. I'll be updating this BLOG page when I find other things that I think people could use help with. NOTE: If you don't know what DMR is, see my post "DMR Defined". Something that I learned yesterday is that the Motorola repeater by me supports dynamic talk group(s) on either slot but the talk group can only reside on one slot at a time. If the repeater is asked to dynamically create the talk group on the other slot, it's removed from the current slot. 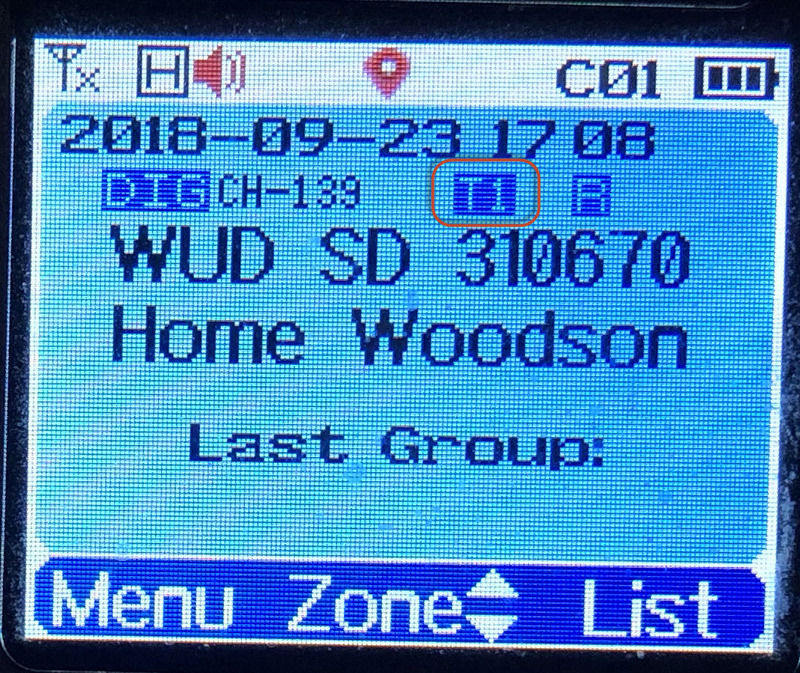 If my buddy and I are both using the San Diego Talk Group (310670) on the same repeater but we are using different time slots we won't be able to hear each other unless we are in promiscuous mode (known as digital monitoring on the 868) on BOTH SLOTS. I debugged the problem by going into the repeater details on brandmeister.network HERE. When I transmitted, the talk group was dynamically created on timeslot 1, just like it should. When my buddy transmitted, but was set for timeslot 2, the talk group was dynamically created on slot 2 and it was removed from slot 1. Therefore, because he wasn't monitoring all traffic on the other slot (by turning on "Digi Monitor Dual Slot"), he never heard me. So if you ever run into an issue where you are monitoring both slots, a common thing to do, have him/her turn on monitoring. If they hear you then they are using the other slot on the same repeater. This isn't something that you would run into often, but as usage of DMR repeaters in your area climbs, you may see an increased occurrence. It's easy to see what slot you are using on the 868 by looking at the little "T" in the blue box on the second line. 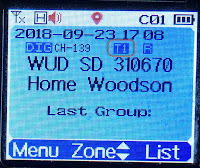 The first programmable button on the left side of the radio can be set to quickly turn on "Digi Monitor "Single Slot" or "Duel Slot". If you think you are having this problem, click it until it says "Duel Slot". If all of a sudden you hear your party on the line, that's the issue. The Anytone radio allows you to fix the problem on the radio within 30 seconds. All you need to do is find a channel you setup on the other time slot and then use the instructions on my Anytone tips page in section titled "Using a talk group on the fly" If you need to change the slot assigned to a channel you created long term, you can go into the menus or just program it from your PC when you get home. One of the best tools to better understand how the Brandmeister system works, understand how your neighborhood repeater is setup, or debug why something isn't working is to actually look at what's going on. Brandmeister.Network is a super powererful tool available to anyone. 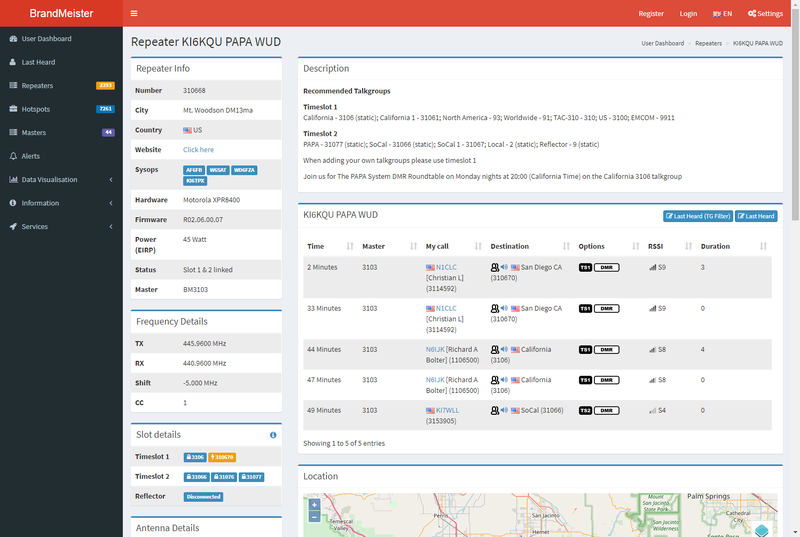 To see how a repeater is setup, go to brandmeister.network, click on repeaters, then search for your repeater. At the top of the page is some general info about the repeater, and in this case, which time slot they prefer you use when creating dynamic talk group, groups that aren't static. If important to know what talk groups are "static" or always on for the repeater you plan to use. If you use one of the talk groups that the repeater is always subscribed to, you want to make sure you setup your radio with so that you use the same slot. If you use the wrong slot, you will unnecessarily cause the repeater to subscribe to the group for both slots and use the entire repeater, or it could cause a problem. Also, if you are moving into the area, and setting up the repeater on your radio, it's always good to know what "static" groups it carries. That way, when you are in promiscuous mode (listening to all traffic), you'll be able to figure out what's going on. Having those setup in your radio allows you to quickly join the party. The "static talk groups" are on the left side of the page under "Slot details". Talk groups that have a little pad-lock symbol on them indicates that it's static and always on that slot, or "subscribed" to traffic for that slot. This page also displays the "Last Heard" for the repeater with some important details. As a test, transmit on the repeater's frequency then refresh the page. You should see your call-sign, and how long ago the repeater heard you. The other important column is "Destination", which indicates the talkgroup that you were trying to use, and under "Options" it shows which time slot you used. All of this info helps you debug any issues you think you might be having when setting up a channel on your radio. One last thing that I use this page for is to see how busy the repeater is and what its being used for. Before I left on a trip to another state, I looked for repeaters that were busy so that I could monitor and see how it's being used, or other repeaters that are not being used much at all and therefore the locals wouldn't mind me creating a dynamic group on their machine so that I could chat with my palls on SoCal. For an in depth view of the repeater page, see "DMR Tip 0, How to get DMR Repeater Info ". Using Brandmeister.network "Last Heard" page to see who's talking and better understand what's going on. One other thing I've use brandmeister.network for is to see if a talkgroup is being utilized or just to see who last transmitted because I missed their call-sign. For instance, I knew that the hurricane net wasn't being used by going to the "Last Heard" page for that talk group and looking at the activity. What I saw was a lot of traffic, but the duration was 0 or 1 second. That probably meant there were people like me hitting a repeater to create a dynamic subscription but no actual talking. To see activity on a particular talk group do the following. Click on "Last Heard" on the left hand navigator. Click on the little plus (+) sign that is in the search box. Note that once you use it, turns into a "-". Click on "Add rule" on the right. There is a pull down on the left, click and choose "Destination ID". Enter the destination ID, 3199 in my example for the Hurricane net. Click "Search", located on the right. As you can see from the first column, "Time", it's not very busy, and secondly, it's not active because the duration is really short (the first two are probably due to people kerchunking the repeater with that talkgroup. Listing of Brandmeister talk groups.